Self-acclaimed preacher, Bishop Ginika Obi, the General Overseer of the City of Liberation and Comfort Ministry who was arrested for allegedly defrauding his members to the tune of over N500 million, has been remanded in an Enugu Maximum Prison. 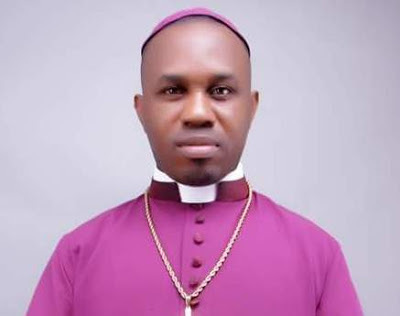 Spokesperson for the Enugu State police command, Mr. Ebere Amaraizu, in a statement on Tuesday, said the bishop whose church/office is located at Km 111, Enugu-Port Harcourt highway, Enugu, was arraigned on the 11th of Oct at the Enugu Federal High Court and case was presided over by Justice A. Liman. According to Amarizu, he said the suspect had been in prison custody since Oct. 12 and that further hearing on his case had been scheduled for Nov. 1 and Nov. 2. The self-acclaimed bishop who was granted bail at N50million with two sureties, who must be a director in a ministry and a traditional ruler of his community couldn't meet the bail conditions. Bishop Ginika Obi is said to have used his non-governmental organization ‘Build Your Generational Organization’ to lure unsuspecting members into investing on the guise of reaping “bountiful dividends” only to defraud them. He was, however, arrested in August at a hotel in Enugu State.